The 2018 edition of The UN Card can respond to that question. The UN Card brings you an update to 10 actions of the UN that show in quantifiable terms how the daily work of the UN and its agencies affects the lives of people around the globe. . The card fits in your pocket and is easy to distribute. "Impressive as they are, these ten facts are only the tip of the iceberg of what the UN does and are an important reminder of our collective impact on people's lives around the world every day", says Maher Nasser, Director of the Outreach Division, DPI. 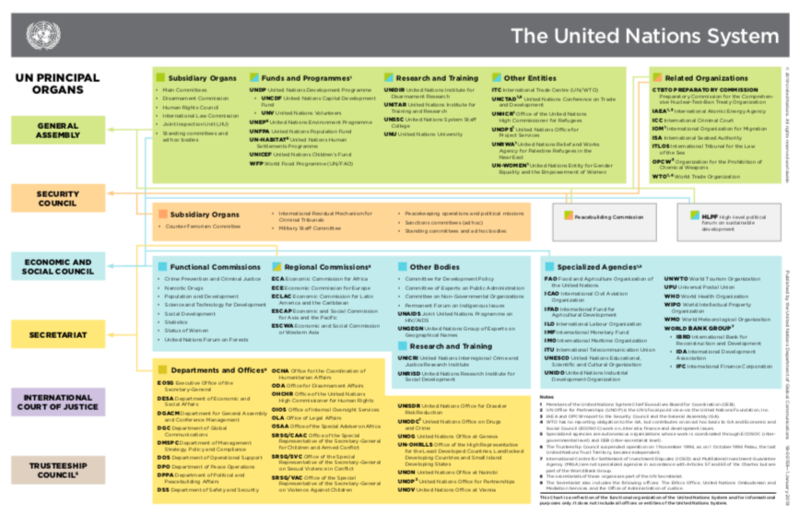 The Department of Public Information has published The UN Card since 2009 - updating the cards annually, checking facts and figures with UN agencies, designing a fresh look, and adding new achievements. This year, the flip side of the card features the four pillars of the UN: peace and security; sustainable development; human rights, and humanitarian assistance. The wallet-sized cards are a popular outreach tool. The Visitor's Service at Headquarters in New York has to reorder the cards frequently to keep up with demand from visiting groups. Available in all six official languages, many UN Information Centres translate the cards into local languages, as well. Everyone is invited to download a high resolution version for printing or sharing on social media. Files can also be found on un.org and iSeek.